Creates an attractive desert environment. Excellent heat conductor. 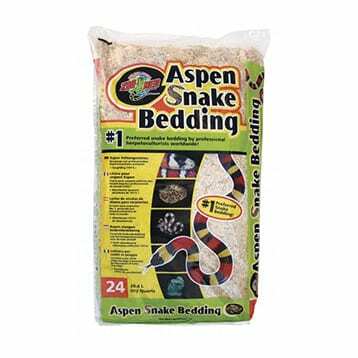 Zoo Med’s Aspen Snake Bedding is 99.9% dust free, non-toxic, hypoallergenic, has higher absorbtion properties than other beddings and contains no harmful oils. 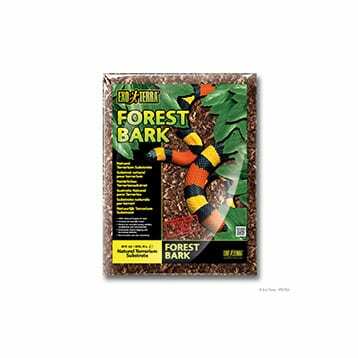 Provides a safe, naturaliste substrate that allows snakes, lizards and small animals to form burrows and nests as they would in the wild. 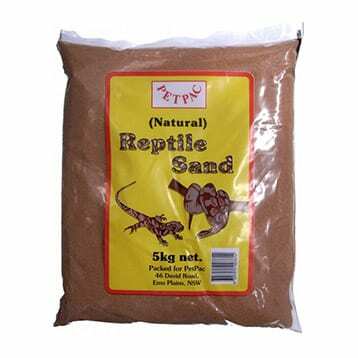 Can be used for birds, lizards, tortoises, turtles, spiders and insects. Green product: made from a renewable resource. Compressed tropical terrarium substrate. Made from 100% coconut husk fibre. Makes up to 7 litres when wet. Increases and maintains humidity. Stimulates natural digging and burrowing. Nutritional substrate for growing plants. No scratching or abrasion risks. dust. The unique size and shape of the bark pieces stimulate natural digging and burrowing and discourage crickets to hide. Heat treated and odour absorbing. 100% finely shredded pine bark. 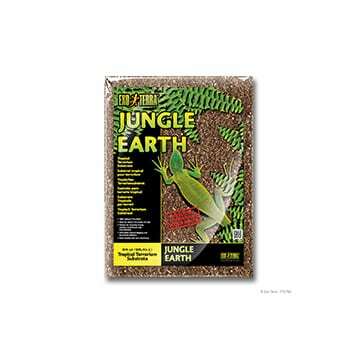 Ideal for natural terrarium setups. 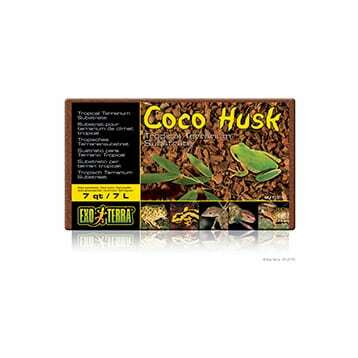 Perfect for humidity loving reptiles, amphibians and invertebrates. Stimulates natural digging and burrowing. Heat treated and odour absorbing. 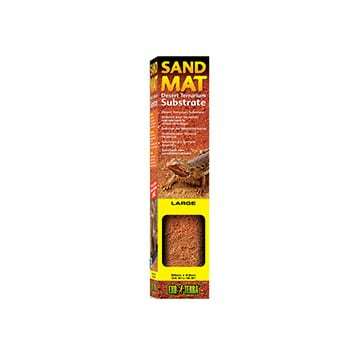 The Exo Terra Sand Mat has a natural desert appearance and can be applied as a safe and hygienic substrate substitute for reptiles with a minimum of bacterial build up. 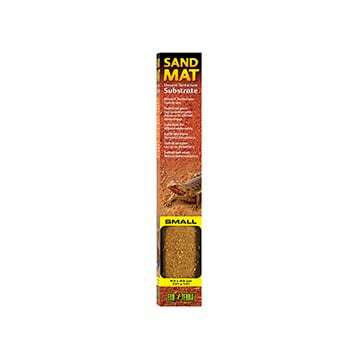 The Sand Mat cannot be accidently ingested and enables your reptile to have a firm grip. 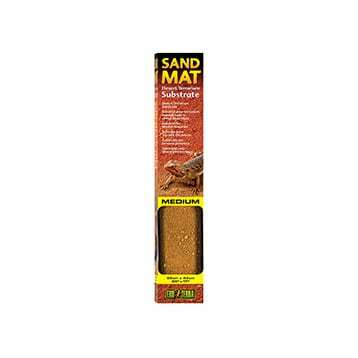 The mat is easy to use and can be cut to fit any terrarium size. Simply rinse clean when soiled and replace as necessary. 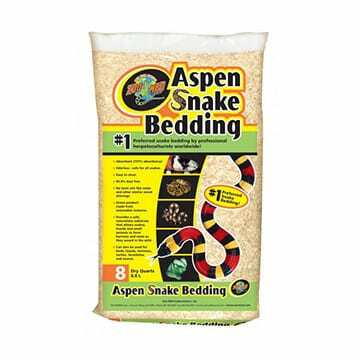 ingested and enables your reptile to have a firm grip. 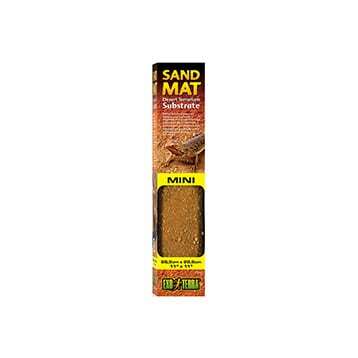 The mat is easy to use and can be cut to fit any terrarium size. Simply rinse clean when soiled and replace as necessary.